Many people prefer shopping mall for hangout destination in weekend. No wonder shopping malls provide anything for visitors. Movie? Supermarket? Food and beverages? Fashion? You will find those in shopping mall too! In West Jakarta, you will find many shopping malls. 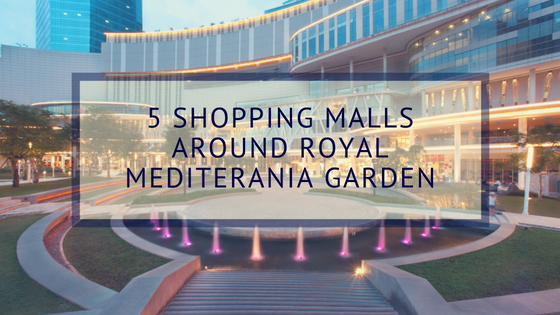 Here are the list of shopping malls around Royal Mediterania Garden Residence. Neo SOHO Mall is the new shopping mall near Royal Mediterania Garden. Located inside Podomoro City Superblock and owned by Agung Podomoro Group. Neo SOHO Mall has 9 floors with concept store within a store. 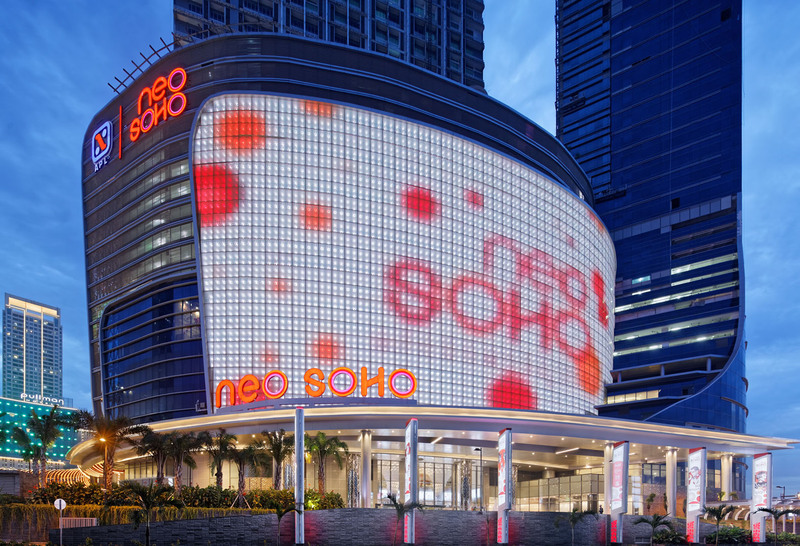 Neo SOHO mall has 22 hectare area and has been operating since 2016. You can find Jakarta Aquarium, a marine suit aquarium which has become a favourite destination for family with kids. Jakarta Aquarium also has Pingoo Restaurant, a unique concept restaurants where you can dine and meet penguins. The other favourite destination in Neo SOHO Mall is Eco SkyWalk, a connecting bridge from Neo SOHO to Central Park Mall. Eco SkyWalk has a beautiful design with colorful lamp at night and has become an iconic place to take photo. Alternatively, you can also visit Central Department Store, the department store from Thailand. In Central, you can find make up, home equipments, fashion items, and many more. Taman Anggrek Mall, also known as TA, is built since 1996 and developed by PT Mulia Intipelangi. The mall has 7 floors at 36 hectare area. The highlight in Taman Anggrek Mall is Sky Rink Jakarta, the largest sky rink in Southeast Asia. This shopping mall also has more than 400 local and international tenants. You can find everything you need in Taman Anggrek Mall! Central Park has an outdoor area named Tribeca Park with free wifi, a perfect place for hangout and get coffee. Occasionally, you will find live music or even watch soccer match together in Tribeca. Tribeca Park is also pet friendly so you can take your pet here. Located inside Podomoro City Superblock, Central Park Mall is a mixed-use complex including a shopping mall, office towers, apartments, and hotel covering an area of 65.5 hectare. People say that Central Park Mall is the most complete and most favourite shopping mall in Jakarta thanks to the hundreds of premium tenants. 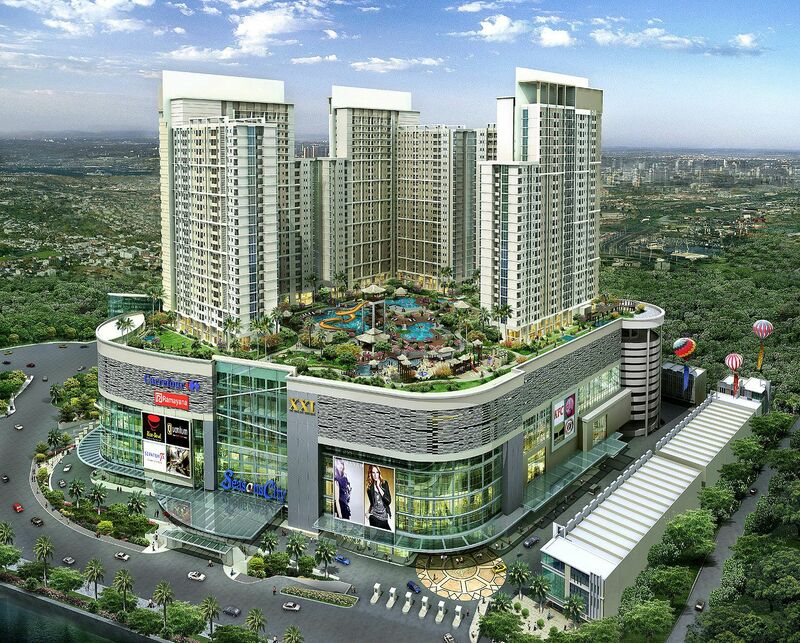 Seasons City Mall is located at Jl Prof. DR. Latumenten, West Jakarta with concept of one stop shopping mall. Seasons City has 5 floors for trade mall. In this zone, you will find many stalls selling gold, fashion, gadget, electronics, and many more. Not just that, you can also find salon, cafe, restaurants, fitness center, cinema, and grand ballroom. The highlight of Seasons City is its Fun Season, the edutainment area for family with kids. In Fun Season, you will find mini roller coaster and ferris wheel. Fun Season is decorated by the concept of four seasons, summer, autumn, winter, and spring. Ciputra Mall, also known as Citraland, is owned by Ciputra Group and connected directly to Ciputra Hotel. Ciputra Mall started its operation in 1993 and located at Grogol near Tarumanagara University, Trisakti University, and Kristen Krida Wacana University (Ukrida), so you will find many college students here. Located at 4.1 hectare area, you will find many cafe and restaurants in Ciputra Mall. The food court is named Food Library and it has unique interior like in the library. Every floors in Ciputra Mall are connected, you can walk around circling the mall from bottom to top continuously without needing of elevator/lift. The floors are like a screw that sloping upward to the next floor continuously. The dynamic life in the city is sometimes making people tired and in need of refreshing. Shopping malls is the easiest option for weekend destination. In conclusion, Jakarta has so many shopping malls in strategic location for your weekend destination. Enjoy Jakarta!